PORTAGE, Ind. 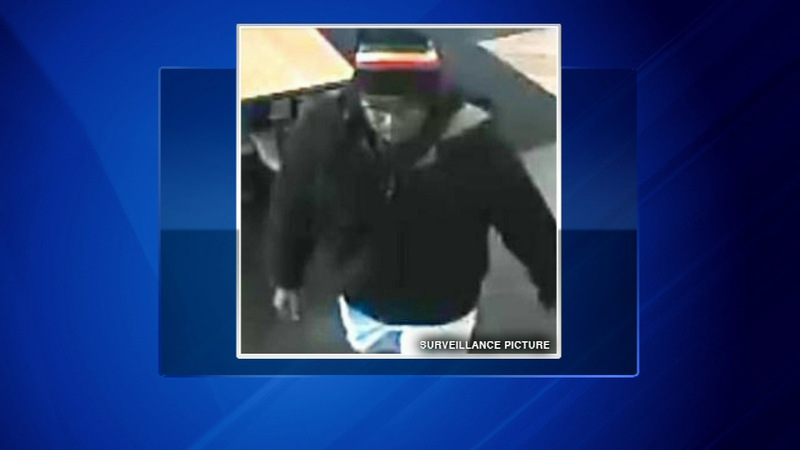 (WLS) -- The FBI believes the same man is responsible for a pair of armed bank robberies in Northwest Indiana. The latest incident happened Tuesday at First State Bank in Chesterton, Ind. Surveillance cameras captured an image of the suspect wearing a "Cavaliers" hat. Police said he allegedly showed a weapon before getting away with an undisclosed amount of money. The FBI believes the same man also robbed Horizon Bank in Portage, Ind. on Nov. 2. In that incident, police say the suspect also allegedly showed a handgun and got away with cash. He was wearing a Jamaican-style hat and fake dreadlocks. The FBI is offering a reward for his capture.